“We’ve learned a few things about operating Laundromats over 20 years, especially the importance of taking good care of our customers. Our laundromats are clean, safe and friendly. 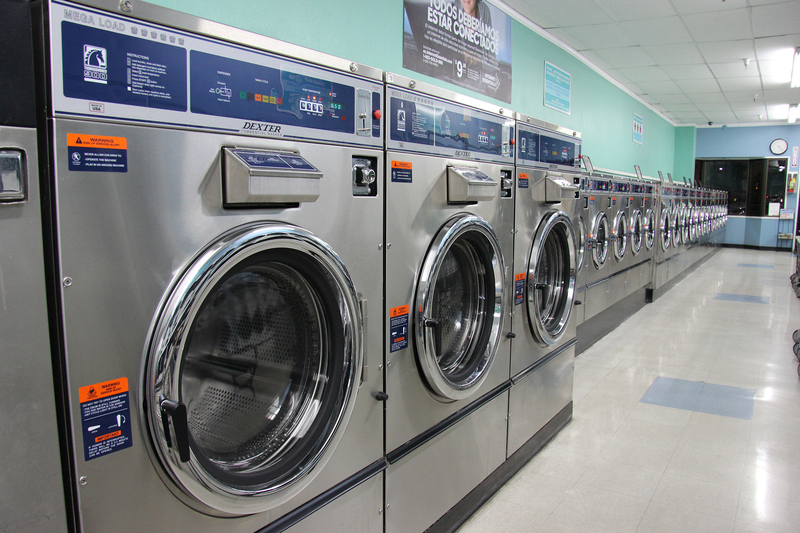 We have reliable washers and dryers that are serviced every week. Our attendants are there to help, whether it’s solving a washing problem or carrying a basket to the car for a customer. This is a really wonderful business, run impeccably. It’s always clean and well stocked. Great job!! So new, very clean! My machine broke at home and needed to do a few loads. I was glad to find Superclean – it is super clean. Sitting here doing work at the work stations, free wifi, good music, quarter machines. I will be coming here for big loads even after my machine is fixed. Great service and a great price. I live in the area and have tried multiple spots this is by far my favorite. It is VERY clean and the service attendants are always present and helpful. Some other place may have free drys, but to me paying .25 cents for a dry here is well worth it because it is so clean and much more relaxing than other spots. Also seems like the clothes dry quicker. Definitely worth a try!